Product includes window unit, coverage unit, and two power adapter. Just a little bit of signal strength and the revolutionary new Cel-Fi will bring you blazing fast downloads, smooth video and surfing, and improved voice coverage. RS224WU and RS224CU 3G 4G. Processor running advanced digital echo cancellation and channel select filtering algorithm. Trending at $36.00eBay determines this price through a machine learned model of the product's sale prices within the last 90 days. NXT CEL-FI-D32-24 is the only Cellular Signal. All Digital Simultaneous Voice and Data 3G/4G/LTE (Dual Band MHz 1700,1900). The cel-fi all digital booster can cover up to 13,000 sq. ft. Reduce dropped calls and dead zones. THIS UNIT DOES NOT SUPPORT LTE! IT ALSO DOES NOT SUPPORT IPHONE 4S OR NEWER and Samsung S6 or above. A few bars of 3G & the Cel-Fi will bring you faster downloads, smooth video & surfing, improved voice coverage. It is still sealed. ▪ WHAT YOU SEE IN THE PHOTOS IS WHAT YOU WILL RECEIVE. LTE Cell Phone Signal Booster. Cel-Fi Duo. · Model:Duo. Network and Coverage Units w/Adapter. The units in the pictures are what you will be receiving. Good luck. Cel-Fi DUO Smart Signal Booster for Verizon 4G LTE/ XLTE/ VoLTE model #D32-2/4/13 or alternate D32-2/13/66, SKU 590ND32GWUS1VZUS1BJ1. This cellular repeater kit is for Verizon Wireless network users looking for an easily-installed, powerful signal booster for areas up 13,000 square feet without needing to run cable or mount antennas outside. LTE Cell Phone Signal Booster. The screen on the coverage unit has three white lines and both have handling scratches and scuffs. Network and Coverage Units w/Adapter. Cel-Fi Pro. · Model:Pro. The units in the pictures are what you will be receiving. Includes - Power Cord.1 personal cellspot, mounting clip & screws. Trending at $34.47eBay determines this price through a machine learned model of the product's sale prices within the last 90 days. We range anywhere from tech to antiques and other things in between., “Unknown/Untested condition.”. and or “Broken for parts only.”. Used - Good. Excellent = an item that is in perfect working order and has little or no imperfections. 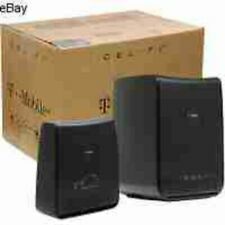 T-Mobile Signal Booster - Cel-Fi CELFI-RS224WU - Lightly Used. Condition is Used. Shipped with USPS Priority Mail. Used, but in great condition, in working condition, complete with power cables. 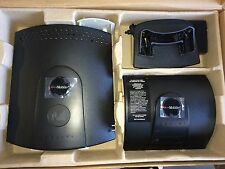 Hello eBay, selling a T-Mobile-Personal Cellspot Signal Booster 4G LTE (No Power Cord). Condition is Used. Shipped with USPS Priority Mail. What you see in the pictures you get! If there’s any problem once receiving the item I ask that you please contact me first, and I’ll be sure to resolve the issue! Item will be shipped as soon as possible! At the latest, three business days after purchase! Please leave positive feedback once satisfied with the item, thank you! There are no other parts, cables, manuals, software included. No power supplies included. Like new Cel-Fi Window Unit & Coverage Unit with cords. Works great. Bought new then discovered it does not work with AT&T in my area. I paid $280 in August 2014 and was not able to use. Has been in storage. Good working condition with minor cosmetic wear. Item(s) will have a 4"x2" internal inventory label, see pictures. Does Not Apply Manufacturer Part Number Weight (lbs): 4.00. No Original box. As you can see the device passed with flying colors, so it is able to be used when you complete the rest of the kit. Again this is only one part of a 2-piece kit. This is only one part of a two part kit. This is for the device only!
) During past month. cwaem-vwtvv6ag ( 3 ) During past month. Used, as seen in the picture(s). Item as described. Great price. Item as described. EXCELLENT SERVICE. kcl5trades ( 463. Unless otherwise noted, this phone is only for use with the carrier stated. There may be a few minor scuffs and scratches on the side or back of the device. Devices will show signs of use including scratches, dents, and scuffs. Function status of the Item: Works good, will not work with out the WINDOW UNIT. Supports Cel-Fi Pro LTE Cell Phone Signal Booster. Supports AC 100-240V worldwide power. Premium Generation X Plus Antenna Booster Improves your phone's signal strength. Certified with warranty. Easy to install and use. Trending at $3.26eBay determines this price through a machine learned model of the product's sale prices within the last 90 days. Italy: TIM,Vodafone Italy,Wind. - Greece:Cosmote,Vodafone Greece,Wind. - Greece:Cosmote,Vodafone Greece. - Italy:3 Italy, TIM,Vodafone Italy. - Spain:Orange Espana,Vodafone Spain. - This repeater is suitable for GSM 900 and GSM/LTE 1800, can boost voice and 4G data. Breakthrough, patented technology enables a wireless, indoor, plug-and-play, user installable coverage solution that's so notouch easy to use it obviates the need for support calls to the Operator's Help Desk. More about this item:BY PURCHASING THIS ITEM YOU UNDERSTAND THAT THE ITEM CONDITION IS FOR PARTS OR NOT WORKING: This is An item thatdoes not function as intended and is not fully operational (non-functional). This includes both the window and coverage unit and are used. This does not include the power source for both units so they have not been tested to see if they work. We are not the original owners of the unit and we do not know the history. No accessories are included. Decreased Operational Cost: Lowers cost of indoor coverage and increases capacity of 3G networks. Make sure this fits. by entering your model number. Will not work with any other cellular service, not compatible with Sprint, nor Verizon, nor AT&T. NXT CEL-FI-D32-24 is the only Cellular Signal. Reduce dropped calls and dead zones. All you need is 1 bar. It cannot boost a nonexistant signal. You are buying a lot of 5 of these. Have an issue?. Usually quicker. Make sure it is exactly what you are wanting. Location: Shelf 2 a 4 X5 per order. What you see in the picture is what you get. Nothing else is included!